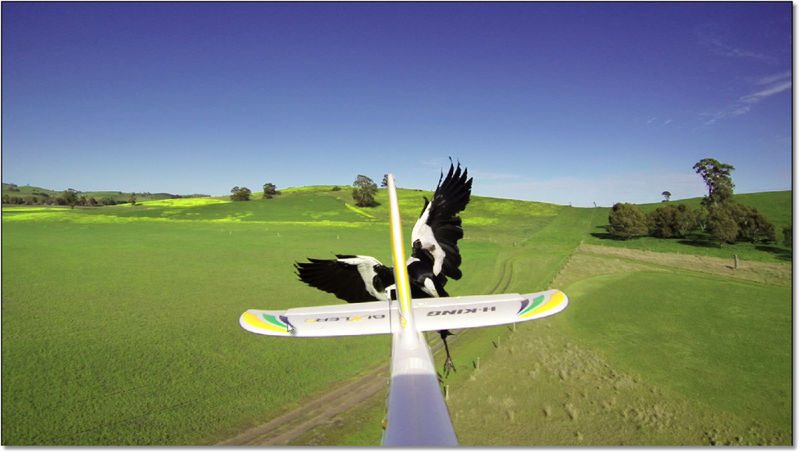 Last year, I stuck a small camera on an old radio control airplane and flew it whilst the local Magpies attacked it. This year I have taken a much larger aircraft, a Bixler 2, and moved the motor from the rear to the front, and placed a GoPro 3 where the motor used to be. The result – much improved! HD video of the Magpie in flight and attacking the tail of the aircraft. Here’s a sample still from the video I have made from 4 flights today. Camtasia 8.3.0 Still A Project Killer!